Crazy Beauty Secrets of Hollywood Stars. The Craziest Beauty Secrets Celebrities Swear By! . The pursuit of youth through plastic surgery has become mainstream, but Hollywood celebrities still have an edge other most women, even if they never go under the knife. Some celebs swear by really bizarre skin care treatments that help them look their best on the red carpet. Discover a few crazy beauty secrets of Hollywood stars, from exotic and expensive treatments to simple solutions that you can try at home for free. 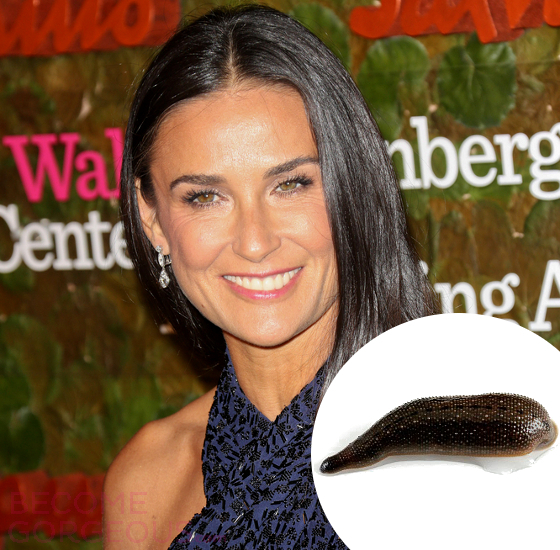 One of the truly bizarre beauty treatment involves live leeches, and Demi Moore isn’t afraid to admit and even recommend it. “These aren’t just swamp leeches, these are highly trained medical leeches,” she jokes on “The Late Show With David Letterman”, after admitting to using one of crazy beauty secrets of Hollywood stars. Heavy stage makeup can be difficult to remove, especially if it involves lots of glitter. To make sure all of it is gone, makeup artist Kabuki used alcohol-free hair gel to make the glitter stick to the singer’s skin and scotch tape to remove all of it. As far as crazy beauty secrets of Hollywood stars go, this one might be pretty tame, but it’s still out of the ordinary. In order to keep her skin hydrated throughout the day, Cindy Crawford mixes milk and water to make a solution that she sprays on her face whenever it feels dry. The key to Catherine Zeta Jones’ gorgeous shiny locks is none other than beer mixed with honey. “I condition my hair with honey and beer. I smell like the bottom of a beer barrel for days afterwards but it’s very good for the hair,” she explained, according to The Happy Skin Diary. 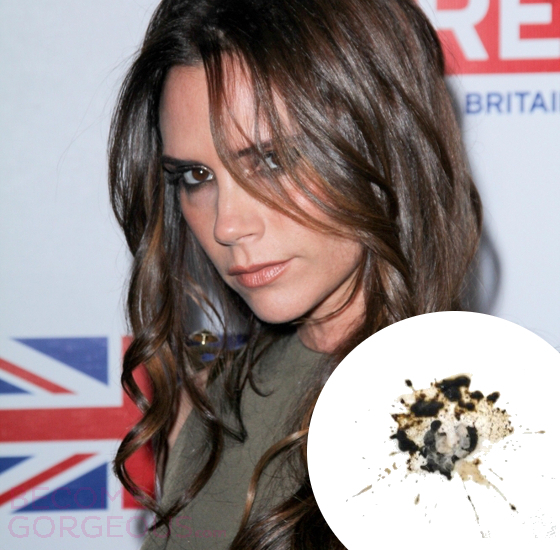 One of the truly crazy beauty secrets of Hollywood stars, Victoria Beckham’s beautiful complexion benefits from... bird poop facials. Used in Japan for centuries, nightingale droppings facials are said to be responsible for the flawless skin of geishas, making it smooth and adding to its natural glow. 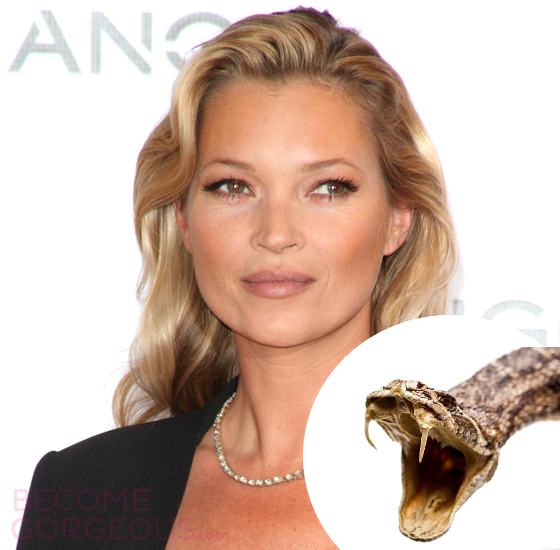 Snake venom might be the new Botox, and celebrities like Kate Moss and Gwyneth Paltrow weren’t afraid to give it a try, according to The Daily Mail. The snake venom shots act in a similar way to Botox, smoothing out wrinkles, but leaving the facial muscles less paralyzed. Placenta creams are among the crazy beauty secrets of Hollywood stars, and Eva Longoria uses them regularly to keep her skin looking gorgeous. The key ingredient in this type of beauty product is sheep’s placenta, rich in protein and amino-acids that help the skin retain its elasticity and glow. See also: Weirdest 2014 Beauty Trends So Far! 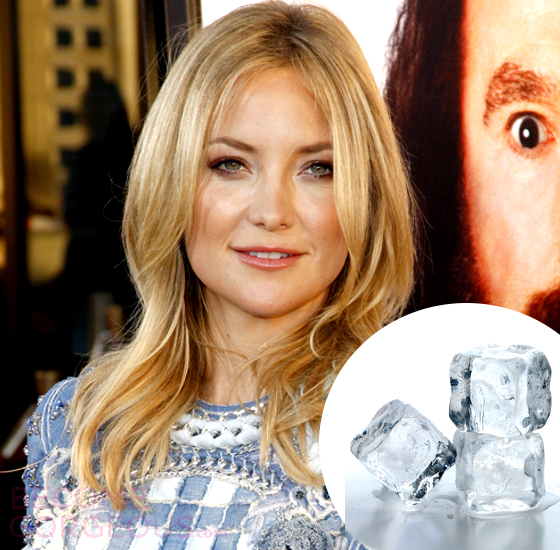 Picking up a bizarre technique from a makeup artist, Kate Hudson submerges her entire face in ice water. After filling a bowl with ice cubes and adding just a little water, Hudson cools off her face with this weird and painful technique. The more you manage to keep your face in the ice water, the better your skin will look, according to Hudson. Botox injections in the armpits can reduce sweating significantly, and Kelly Ripa wasn’t afraid to admit to Elle Magazine that she gets her armpits botoxed almost as often as her face. One the scale of crazy beauty secrets of Hollywood stars, this may not be at the top, but it’s still a weird choice when you don’t have a medical condition that causes excessive sweating. Caviar creams have been around for years, but they’re still very expensive. Angelina Jolie uses La Prairie’s Skin Caviar Luxe Cream, with a price tag of $710 for 100ml. The Siberian sturgeon eggs have a refreshing effect that’s similar to placenta creams. 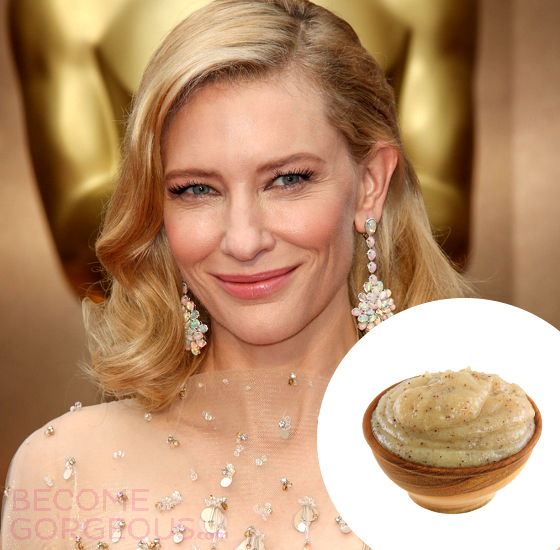 One of the crazy beauty secrets of Hollywood stars, Cate Blanchett’s scrub recipe sounds more like a salad dressing than a skin care product. She uses olive and macadamia oils as the base for a unique homemade scrub. “I incorporate them into a homemade scrub with grapefruit juice and sea salt,” she explained to British InStyle magazine.